Alicia Air is Orange County's factory authorized Carrier dealer with over 32 years of service. We carry the full line of Carrier commercial HVAC (heating, ventilation, and air conditioning) products and provide a 100% satisfaction guarantee on all work. Our expert technicians are NATE and EPA certified, as well as fully licensed and insured. We have the capacity to install Carrier commercial HVAC systems of any scale from new construction to one server rooms in a diverse range of commercial properties, such as office buildings, server rooms, strip malls, restaurants, light industrial facilities, churches, banks, and auto dealerships. Alicia Air is Orange County's factory authorized Carrier dealer providing commercial HVAC service and repair for more than 32 years. Our Carrier factory-trained technicians are all NATE and EPA certified, and fully licensed, bonded and insured. 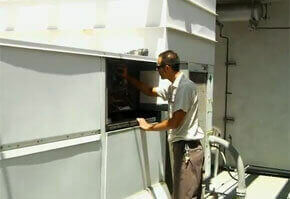 Our technicians are experts in service and repairs for Carrier and all other major brands of commercial HVAC systems. They also receive rigorous on-going training on every aspect of heating, air conditioning, ventilation and control systems. Our repair technicians arrive on time wearing company uniforms and driving fully equipped service trucks with a large inventory of parts, so they are always prepared to complete any repairs promptly and effectively. 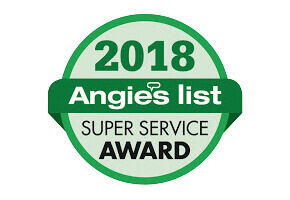 We stand by our service with a 100% satisfaction guarantee and provide Carrier's extensive warranty on all services and repairs that use factory authorized parts. We offer after-hours and emergency response services 24 hours a day, seven days a week. Alicia Air's Carrier commercial contract maintenance plans provide customized, scheduled HVAC maintenance programs for businesses based upon their environment, usage, and needs. Prearranged appointments for inspections, tune-ups and filter replacements can occur weekly, monthly, quarterly, or semi-annually. The benefits of a scheduled maintenance plan for your HVAC system is that it will keep your system running at peak performance and save you money in the long-run. Regular maintenance prevents breakdowns, extends the life of your equipment, and reduces your energy usage and costs. Additionally, a well-performing HVAC system maintains proper indoor temperatures thereby increasing the performance of your employees because they are neither too hot nor too cold. Alicia Air's expert technicians have more than 32 years of experience in providing heating and air conditioning maintenance. They arrive on time wearing company uniforms and driving fully equipped service trucks with a large inventory of parts, so they are always prepared to complete any necessary repairs promptly and effectively. If repairs are needed, Carrier commercial contract maintenance clients receive a 5% discount on all parts and labor and receive priority scheduling, which means they go right to the front of the line even during peak usage times. Emergency services are available 24 hours a day, seven days a week. Help lower your energy bills, extend the life of your system, and increase the productivity of your employees with Alicia Air's advanced off-site energy usage and equipment monitoring technology. Our energy usage and equipment monitoring program is an off-site energy management system that allows us to closely monitor your Carrier HVAC system. This advanced monitoring system ensures that your system is always performing at the peak of efficiency. It also immediately alerts us to any warning codes, which allows us to stay ahead of breakdowns before they can lead to costly repairs and/or replacements.